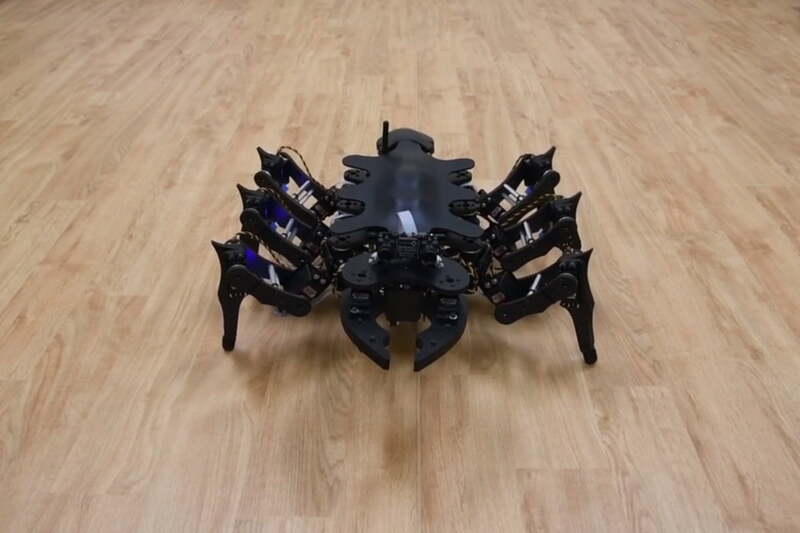 In the world of robotics, one of the most commonly studied types of creatures are insects, and there are lots of of robots attempting to replicate the movement patterns of various creepy crawlies. One thing that even the most advanced A.I. currently has trouble with is improvisation. Insects might not be the most intelligent creatures to inhabit this planet, but they can still adapt to new situations, which is something that a lot of A.I. has trouble with. And now a new robot from Tokyo Tech provides a fresh look at how robotics is taking cues from nature. “Perhaps the most exciting moment in the research was when we observed the robot exhibit phenomena and gaits which we neither designed nor expected, and later found out also exist in biological insects,” lead researcher Ludovico Minati said in a press release. Theoretically, you could program an A.I. with a way to respond to one of thousands of pre-programmed situations. The Tokyo Tech team believes that there must be a simpler way, since insects are capable of responding to new situations despite being less than intelligent. The insectoid machine does make use of a pattern generator, but it is still a simpler approach than than the one used by a lot of robotics. The pattern generator sends a master signal to the oscillators, which control the legs. From there, the robot simply needs to tweak one of its five pre-programmed responses to create something new. Aside from simply being an interesting development in the field of robotics, this technology could have practical applications as well. The team is hopeful that this will make it easier to use robots for tasks that involve traversing unfamiliar terrain, since they can more easily adapt to their surroundings.